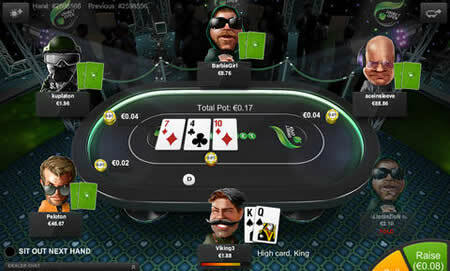 ﻿The Unibet mobile poker site will work on iPad or any tablets running Android. Play speed poker, Texas Hold'em ring games or choose between multi-table and Sit N Go tournaments. Find plenty of soft competition at the tables. 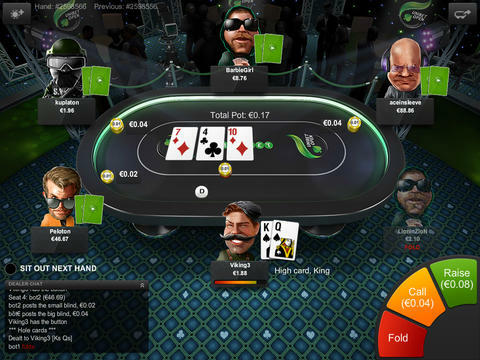 Unibet Mobile Poker is developed specifically for tablets. Unique poker app that's created by Unibet's developers. Both Sit & Go and Multi-Table tournaments on offer. Play regular Hold'em cash games or fast fold poker. Aimed at recreational players so plenty of poker fish. Unibet are widely regarded as one of the most diverse betting companies in the world. Their history dates back to 1997 when the company was founded and since then have gone on to be a real leader in the sports betting industry. But, as the company have developed, it’s the online poker where they have really started to expand their brand. That accompanied with their integration into the mobile poker industry brings us to our review today on their latest iPad poker app. One of the best things that we noticed straight out of the box from the Unibet iPad app is that it’s been designed to work specifically for iPad. This may seem obvious, but what a lot of apps do is design something for mobile, possibly even smartphone and just stretch it out to fit other screens, which looks pretty terrible for the most part. The design fits seamlessly within the screen of the new iPad Retina and in all honesty, looks superb! The first thing that strikes you within the homepage is that there is a lot going on. A lot of moving parts are apparent such as the top slider and adverts down the right hand side. This isn’t ideal in our opinion and whilst it doesn’t look cluttered, often with mobile poker rooms, less is definitively more! The top toolbar is the first indication on the app that Unibet are really trying to push the social part of their poker app. Here you will be able to keep track of any notifications that Unibet send you and also of the missions that they set, of which we will discuss more later in this review. One massive gripe that we’ve noticed is that there is a little email icon, but when you click it, it takes you out of the app and will load up your browser on your mobile device. Highly annoying! The main chunk of the site is made up of being able to choose the game type that you are after. The middle section will show you cash games, sit and go games and also multi table tournaments that are on offer. Each heading will show you an overview of the games that are upcoming, but you can narrow this down to the game type and stake that you are after. The Multi table tournaments section also shows the upcoming games along with a full schedule so you can plan your schedule as well. We did mention about the moving top ‘ad’ section on the homepage being quite annoying and that it constantly cycles through, but after further testing it was actually quite useful in seeing what promotions are currently running. They will be more use to some than others and Unibet state that they are targeted towards your interests based on the games that you’ve played previously, although we didn’t really notice that this was the case. The ‘missions’ that have been included on the app are a nice feature actually and whilst they are more targeted towards the beginner poker player, they will let you find out how the interface of the app works. If you mange to complete all your missions then you will be able to receive a reward, which will range depending on how far you advance. These might be new avatars or even entry into poker games. You can keep track of your missions from the top navigation bar and see what you need to do next to level up. 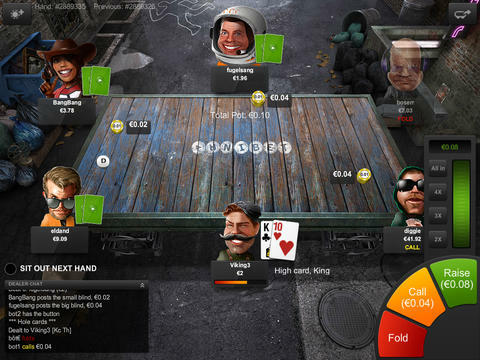 For us the design and how the actual poker tables work are the biggest highlight on the app. They look absolutely stunning and fit in perfectly with the iPad screen. The graphics are super sharp and the inclusion of the quirky avatars really adds to the overall game. The speed of the games is something that a lot of mobile poker rooms struggle with but Unibet seem to have this pretty much sown down. The game includes the options to add features such as four-coloured deck and will automatically sit you at the bottom of the table as you view it. You can even work in cents if you wish which means for those who aren’t used to Euros will be able to work in something a little more familiar. When the action falls to you a simple fold, call, check or raise button will appear in the bottom right hand corner. If you decide to raise it up then you will be shown a slider that you can adjust up and down to find your desired amount. In terms of competition you’ll find that the games are pretty soft, especially at the lower levels. The whole site includes a lot of Scandinavian players and they are renowned to be pretty entertaining, hence the games running good to soft for the most part. What you will also find is that the games include a really strong number of players around the clock. You can switch between speed poker and also single table games, should you wish. One of the best things for iPad users is that the app is fully accessible from the app store and is completely free of charge to download. A simple search for ‘Unibet Poker’ will bring you at your destination and it shouldn’t take too long for the download to complete. You can also access their poker site by going through the Unibet website via your mobile browser. Whilst this will enable you to add the app to your iPad’s home screen, in some cases we found that it still loaded within the browser, unlike the app opening in a separate application. 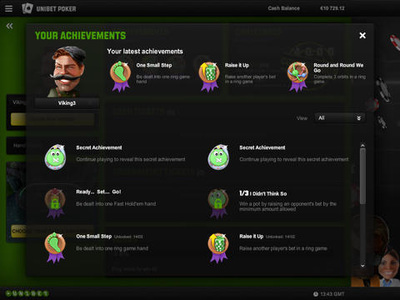 Unibet offer their users a very tidy welcome bonus of up to €500. One of the most unique things about this offer is that it’s available to everyone, and the amount you deposit doesn’t matter. It works by simply playing real-money games and working your way through the different rake levels. The first level will require you to earn €2 of rake before €1 of your bonus is credited to your account. Level 2 requires €13 of rake for €4, Level 3 €85 for €15, level 4 €500 for €80 and Level 5 €1,400 for the remaining €400. You will get 60 days to work through the bonus and any bonus that hasn’t been cleared will become void after that time. 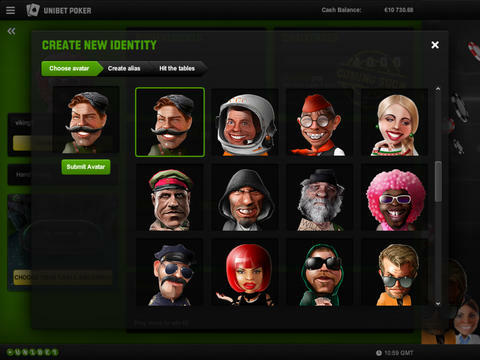 Unibet might just be the most surprising addition to the world of real money mobile poker. A company that has worked hard over the years to create a pretty decent reputation have managed to simply blow some of the biggest competitors out of the water with what has to be one of the best iPad poker apps in the industry. The design of the app is the biggest selling point and it comes very easy to report that they have the best looking mobile poker app that we have come across. As soon as you enter the home screen for the app you feel as though it just oozes that touch of class and isn’t like the majority of apps out there. Then, once you hit the tables, you continue to be blown away by the graphics on offer and how the games smoothly play out. It’s actually really hard to find anything negative to say about the app at all. There are a couple of gripes in the ‘busy’ home page, but it would never be enough to put us off playing on the app. The missions will be a bit gimmicky for some players, but again, you don’t need to take any notice of them if you aren’t interested. All in all, one of the best mobile poker apps that we’ve managed to come across! Reviews of other top quality tablet poker rooms.